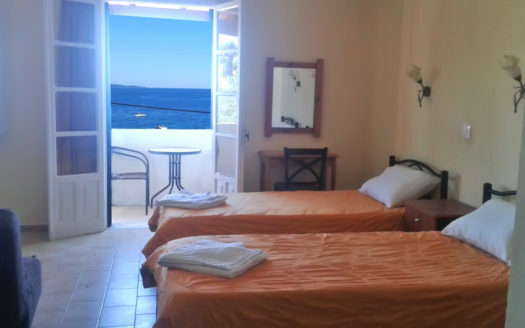 The captivating Stratigos apartments are set in the perfect location – right next to the sea on beautiful Kalami beach. 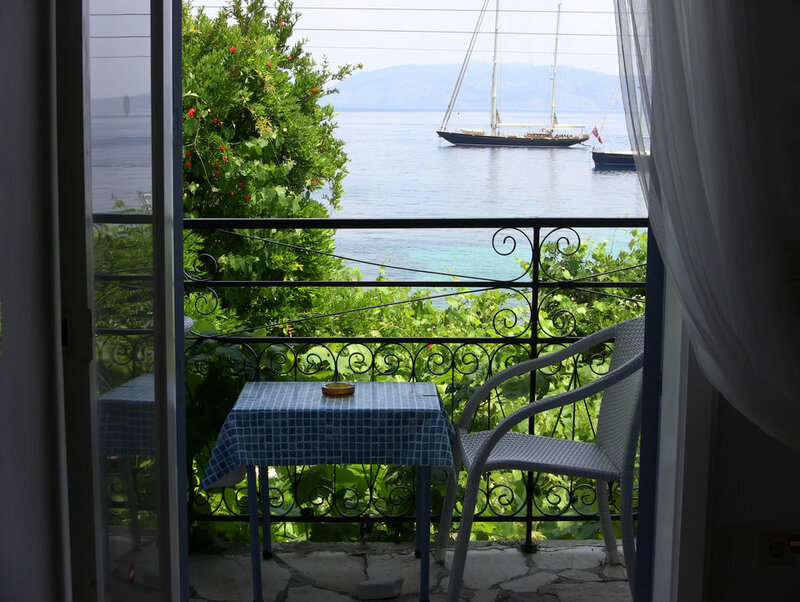 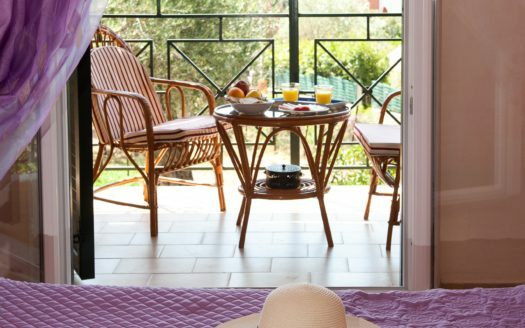 Total relaxation, warm and friendly atmosphere in this stunning setting is offered by a stay at the Stratigos. 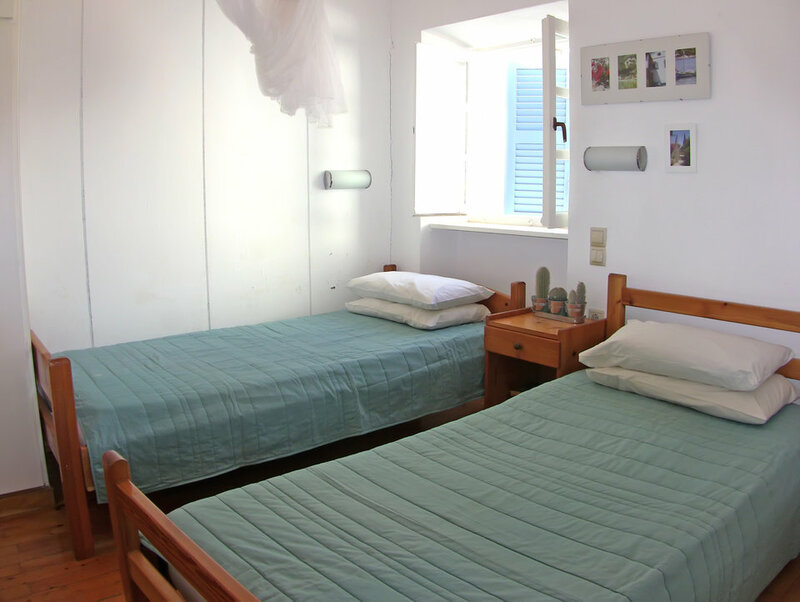 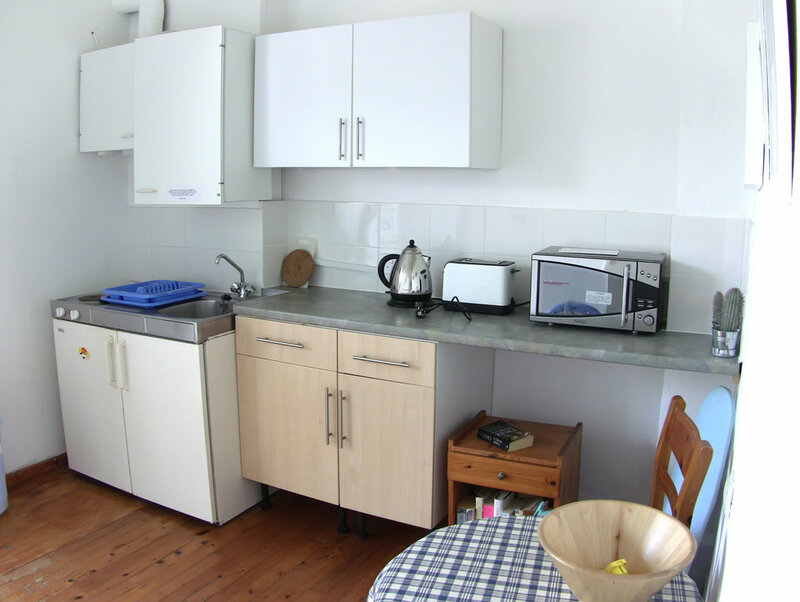 These charmingly decorated apartments are equipped with kitchenette (a two-ring hob, microwave, kettle and fridge) an iron and board, shower facilities as well as air conditioning, making them an ideal base to explore Kalami village and the surrounding bays and coves. 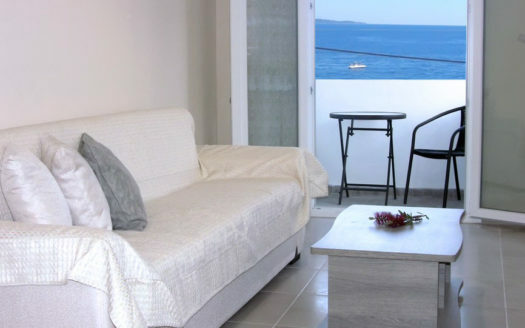 Each apartment has a small terrace area where you can enjoy views across the olive groves, or of the beautiful bay of Kalami with the Albanian mountains in the distance. 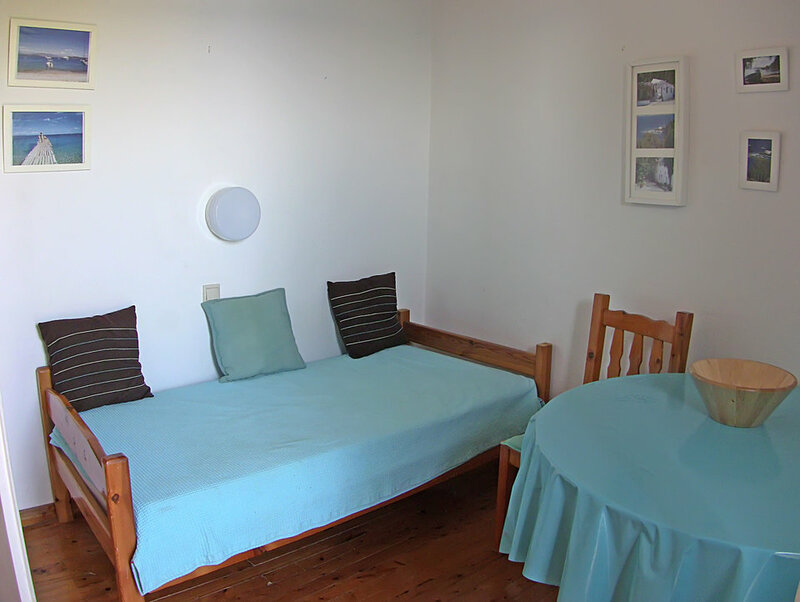 All of the apartments share a pretty courtyard area that leads directly onto the beach.